Oh God! I love 5 SOS but they’re pretty close to messing it all up for ‘Good Girls’ all over the world. I’m pretty close to a good girl: I do my homework. I don’t get in trouble at school. I’m socially aware. I listen to my parents. I don’t date. I don’t dye my hair or have any piercings (except for a pair in my ears). And I’m addicted to reading which is relatively harmless compared to drugs or alcohol. I tell the truth. However, I may or may not be the kind of girl who lets her parents assume that she’s doing what they want (even if she isn’t) and I might be a little addicted to the internet…just a little. And I have the feeling that, if I actually said what I thought all the time I wouldn’t be considered a good girl any more. I know a lot of people and I don’t know anyone who is blessed angel good. Sometimes they’re good at hiding that the fact they’re quick with insults or sometimes they don’t even bother to hide the fact that they’re not even close to being Miss Perfect. On one level, I sort of admire the second group of people and I sort of pity them too. They’re brave enough to do stuff which is not necessarily considered ‘good’ and it frees them from a lot of expectations. But at the same time it bars them from a lot of opportunities and people are generally a lot less willing to hand over responsibility to the ‘bad girls’. A classic that’s surprisingly good. Ball gowns, war and marriage for gain- what’s not to like? There’s something about the other side of the tracks which is irresistible to a good girl hiding behind a façade. Even an orphan and music prodigy can do questionable things when on the run from an insane government. This is actually a bit different from the other books. It’s a bout a bad girl going through a good girl’s bucket-list. As soon as Christmas is over, the people around me become almost disgusting nostalgic. Um…and maybe me too. This year was full of disappointments ones which made me cry and wallow in self-pity. There were a couple of embarrassing moments here and there (probably more than I remember since I have a tendency to block out the bad stuff). But then there were those awesome moments where I met some pretty amazing people or where I laughed so hard, I probably sounded like a beached whale. And looking back at those memories, I kind of wish I could go back to them. You can never truly go back too a time when you were happy. So I’ve resigned myself to treasuring the memories…Unless you’re willing to lend me that secret time machine hiding in your basement; I swear I won’t use it for evil. Books however, are a whole different ballgame. They are something which can be reread over and over again (providing that they’re good enough). And sometimes, they’re even better the second time around. This year, I read 811 books. I’ve made a list of my top 24. Fun, little, bonus, Christmas e-books. It’s December 23rd and not only is it the day before Christmas,it’s also my last day of school in 2014. But both of those things have been outshone by the fact that a bunch of authors are publishing tiny short stories for Christmas. I don’t know if it’s because they want to practice the gift of giving (so that they’re good and ready for the big day) or if they’ve trapped their characters in the holiday spirit, but I will never complain about their sudden desire to give us fans stories to tide us over to the new year. 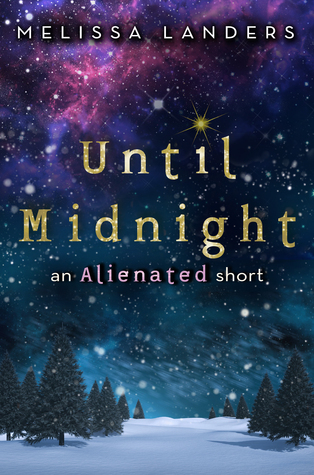 One such short story is Until Midnight by Melissa Landers. It’s part of the Alienated series and takes place between Alienated and Invaded. It’s a free ebook that’s downloadable on pretty much any device, and best of all, it has excerpts from both books in the series! It promises to be sweet, fluffy and Christmassy. Perfect. So a Merry Christmas to everyone here (and those not here as well). Happy Hanukkah if that’s your thing and a Great Kawanza too. If you’re like me, and don’t typically celebrate anything during this time of year, enjoy the holidays! If you know of any free holiday short-stories that authors are publishing, let us fellow fangirls(/boys) know by posting a comment. I am a perfect puzzle. that never seem to match up. colors that do not make sense. each piece over and align. made different for every person I see. a joker’s replaces it on the next. best friend, the better than the best student. And I can’t see my face in the mirror. I never knew what it looked like ever. I am a raggedy quilt all worn and all loved. but nothing I can identify as my own. of those who surround me and love me and know me. Who say they know me but how can they say they do? me when I don’t know myself? This is a quote from Neil Gaiman, a fantastic writer. The Graveyard Book, The Sandman, Coraline, American Gods, Newverwhere, Good Omens- chances are you recognise at least one of the books. And he’s practically legendary for his dedications. But if there’s one thing that I really admire him for, it’s his ability to convey all the hopes and aspirations of wanna-be writers and life-livers. As someone who really loves parentheses but probably uses them ineffectively (you would know), that quote really struck a chord with me. The words inside parentheses are often cheeky, sarcastic or instructional. C S Lewis, Neil Gaiman and Lemony Snicket are masters of this rare art. As amazing as that is, that’s not even the most inspiring thing that (in my opinion that he’s said). 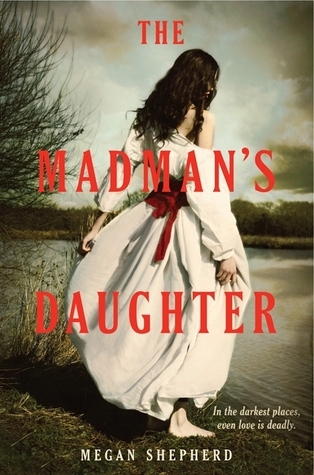 The Madman’s daughter fits firmly into the Victorian Gothic thriller category. I haven’t read Frankenstein, but I have a feeling I know what inspired this book. There’s an authentic, creepy, mad-scientist feel to the book. The setting of the book- a strange island contributes largely to it as well as the inhabitants of the island- one very insane but brilliant scientist and a group of deformed villagers who chant a set of commandments given to them by the aforementioned scientist. The book doesn’t immediately begin on an island. Instead, we’re shown the miserable circumstances that have been thrust upon Juliet, the protagonist of the book. Her unhappy circumstances have made her bitter, cynical and not at all squeamish but she still won’t tolerate vivisection- that’s the live dissection of living animals. I think I really started to admire her when she cut off the head of a rabbit. That may sound horrendous to you, but trust me, it was a compassionate and brave thing to do. Throughout the book, she proves her compassion and bravery by standing up to her father repeatedly (when no else seems willing to). At the same time she’s not afraid of getting her hands dirty. Her father was an amazingly written character. I’ve heard he’s borrowed from a H G Wells book but Megan Shephard does a good job portraying him. He’s a brilliant scientist but…well let’s say that if his morals were fairly standard in scientists back then, I can see why those from the Victorian era didn’t trust them. At all. Chauvinistic, deluded and almost sociopathic- It was hard to see what Juliet ever saw in him. But that was the point. The weakest part of the book was the romance. It was a poorly executed love triangle in which the two candidates for Juliet’s heart – Montgomery and Edward – were presented as complete opposites: the gentlemen vs the bad boy. <sarcastically> Original isn’t it? I could have dealt with the trope if the characters were interesting enough but they were actually remarkably similar. The things they said…their main objectives- well, they weren’t too different. I guess Juliet thought they were pretty interchangeable too. Juliet’s mind jumped frequently from one to the other and back again. One minute she was thinking about Montgomery’s musculature and the next she had moved onto Edward’s charisma. Sometimes in sentences following each other! If the romance was the worst part, than the best part was the action. Like I’ve previously mentioned, none of the characters were afraid to get their hands bloody- both figuratively and literally. The book was full of twists I so did not see coming. I think I spent a good quarter of the book gasping and shaking my head at the fact that I didn’t see what was going on. The ending is not a Happy Ever After (thank god, I am so done with them). But like the other twists and turns in the book, I so did not see that coming. I’ll give you a huge hint: One of the love interests are insane. The book deals with themes that are pretty relevant today: How love can be blind to insanity, humanity, the morality of science and genetic modifications. I’d definitely recommend it to anyone over the age of 13. Especially, if you don’t mind love triangles too much but if you love gothic, terrifying, steam-punkish books. Would I read another Megan Shephard book: Probably, but she’s not on my automatic to-read list yet. My family is one of those perpetual last-minute vacation bookers. We’ve booked hotel rooms and bus tickets for Goa within 2 hours of us having to leave and for our Europe cruise, I think we had everything booked only a few days in advance. Is this because we don’t plan and research in advance? <snorts in laughter> Hardly. 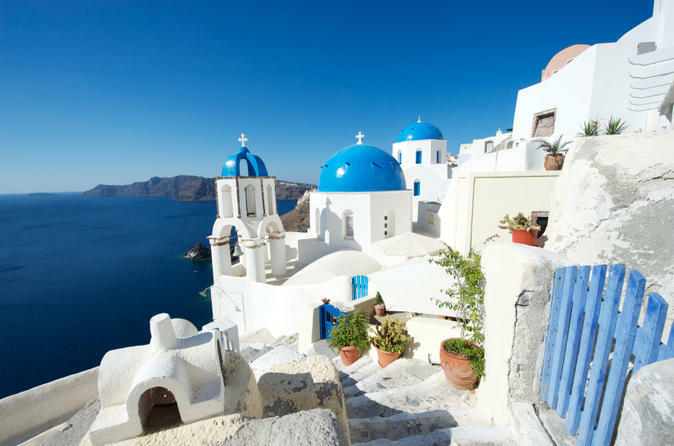 Trust me, we have everything researched ages before it’s considered socially acceptable to start planning a vacation. It’s probably because we all have such different ideas of what a vacation looks like and we’re almost annoyingly democratic in choosing a vacation destination. Even my 11 brother has his own intense opinions (I miss the days when he was 5 and was willing to agree with me). Each of us have a list of places we want to visit, hotels we ant to stay at, places of interest there and estimated travel costs. All in a spreadsheet. That may sound freakishly over-organised for a vacation, but in my family if you want anyone to even consider your vacation you better have a decent power-point presentation and convincing argument planned out. Are you crazy? White sands, blue oceans and pretty volcanoes. It’s like Hawaii but more exotic (and slightly more understanding of vegetarianism). And Jimbaran offers the best of Bali. I’m also toying with the idea of using airbnb,com this time. Apparently it’s pretty good if you want to rent out whole houses or villas. I have a feeling that would help in getting a more authentic and interesting trip. So, has anyone used them? Here’s a wishlist of 5 properties I love in the above 3 places. I highly doubt we’ll get to go there- but hey! we can all have dreams, right? If you’re planning to get an airbnb account to check out some of these awesome properties, then click on this link https://www.airbnb.co.in/invite?r=13. It’s a referral link. You’ll get a credit of $25 (or whatever’s equivalent in your currency). I’m not even going to pretend to be altrustic: I get credit too.